Local musical charity Music In Action, along with the Jersey Academy of Music and a group of the UK’s leading musicians launched the ‘Liberation International Music Festival’. The festival was blessed with glorious sunshine, and unique events such as the Fete de la Musique at Mont Orgueil Castle, Jazz at Elizabeth Castle, and the Yacht Concert were combined with three Opera House concerts. 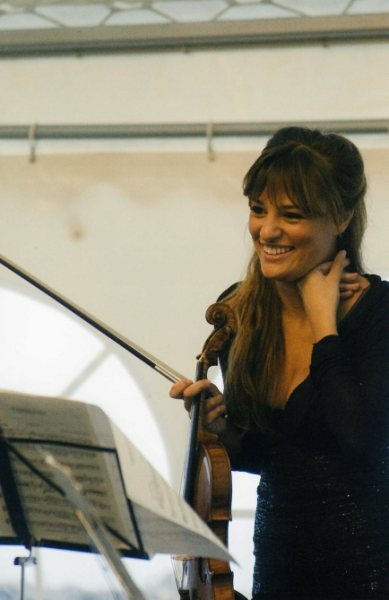 The festival involved hundreds of local performers alongside a whole host of international artistes including Nicola Benedetti, the Sitkovetsky Trio, Carlos Bonell, Claire Martin, and even Pink Floyd’s Guy Pratt. 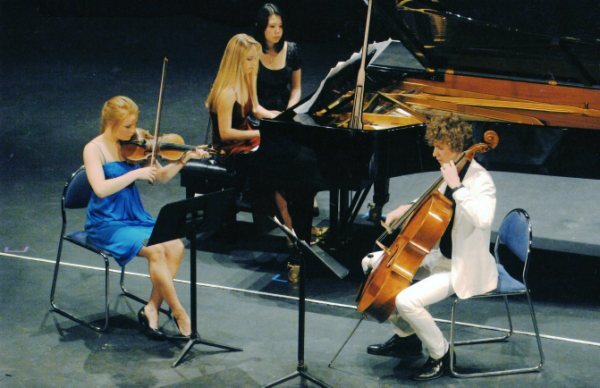 The Chamber Music Project led to the formation of several new ensembles of young string players and pianists, including duos, trios, and quartets. 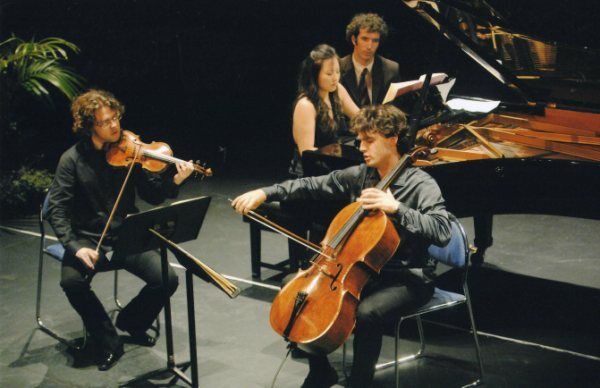 Following weeks of rehearsals, during the festival itself they received on-stage tuition from international artistes Nicola Benedetti and the Sitkovetsky Trio. 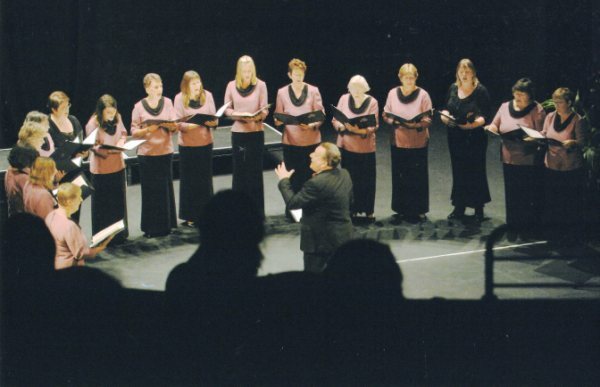 The Choral Project took place at the Jersey Opera House. Royal Opera House star Janet Shell was joined by outstanding young soprano Maya Sapone to lead a full day of workshops with local choirs, including Concordia, the Progressive School of Music, La Moye Primary School, and the Musical Originals Singers. The culmination of both these projects, the Jersey Choirs Night, took place on the evening of Sunday 10th May at the Jersey Opera House, bringing the whole festival to a rousing finale. This variety concert featured performances from each of the participating choirs and young musicians, concluding with a performance of Derek Lawrence’s Liberation Sing-a-Long, a medley of popular wartime melodies sung by the combined choirs and audience. At this time of year the inhabitants of Jersey – the Jersiais, as they call themselves – make much of the fact that the Channel Islands were the only part of the British Isles to be occupied during the Second World War: with the French coast within sight on a clear day, Churchill reckoned they were indefensible and had no choice but to leave them to their fate. Liberation came only on 9 May 1945, by when many families had been separated for years, and the handful of Jews on the Channel Islands long since been shunted off to the death-camps – it’s plain that, 64 years later, the Liberation still carries considerable emotional weight. The musicians – Wu Qian and her colleagues in the Sitkovetsky Trio, Alexander Sitkovetsky and Leonard Elsenbroich; their friends Scots violinist Nicola Benedetti and Polish violist Krzysztof Chorzelski; Guy Pratt – were put straight back to work the next morning, coaching the next generation of colleagues at the newly established Jersey Academy of Music in a palatial building inland from the capital, St Helier. That afternoon the concerts resumed, with soprano Maya Sapone and pianist Tessa Grobel offering amplified Gershwin and Porter, between a big band and a close-harmony group, to a family crowd enjoying ice-creams and more roast hog in Liberation Square. And at the evening’s ‘Gala Concert’ (the context excuses the exaggeration) back in the Opera House the Sitkovetskys and friends presented a user-friendly mix of Smetana, Boccherini (with the guitarist Carlos Bonell) and Schumann (Piano Quintet). 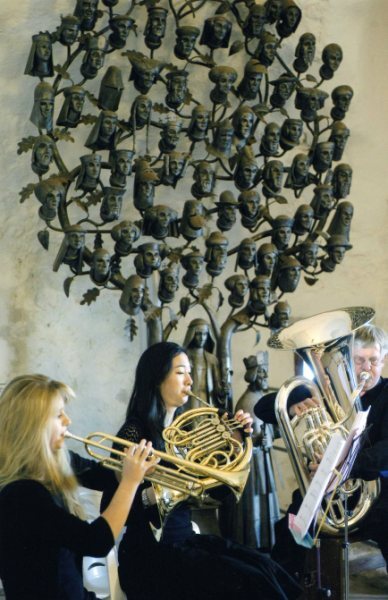 Although the programming suggested compromise, the performances didn’t: the music-making was of the same commitment and polish you would expect in more conventional temples of chamber music. Having to leave the next day, I missed first a ‘Coffee Concert’ where Wu Qian and Tessa Grobel played duets – not just with each other: they called on some of Jersey’s better young pianists to join in; then a jazz special with Claire Martin in Elizabeth Castle; and the most unlikely concert of all, a guitar recital given by Carlos Bonell on the back of a tug in the Bay of Beauport, with his audience bobbing up and down on boats alongside. The Jersey Liberation Music Festival – this year’s, at least – is not then somewhere, like Kuhmo in Finland, where you go for intensity of musical experience. You’re there to enjoy yourself: Jersey offers an astonish variety of countryscapes, if I may coin the word, with winding country lanes that suggest you’re in Devon, lush vales with Irish quantities of different greens, spectacular sea-views, Mediterranean littoral life, the scene changing with kaleidoscopic variety. The music-making comes as cream on this multi-coloured cake. This was the first year of the festival, of course, and it’s perhaps a pity that the slightly chaotic enthusiasm that characterised the weekend will probably disappear as the organisation becomes more proficient. What’s especially encouraging is the way that the Festival and the Jersey Academy of Music are working together, pulling Jersey’s younger musicians into the mix. I am told of an active musical life: some fifty concerts a year from visiting musicians, much choral activity, three concerts a year from the Jersey Symphony Orchestra, and thousands of kids learning instruments with local teachers. But it still comes as a surprise – Jersey’s latest paradox, perhaps – to discover that the Jersey Academy of Music was not established years back: a population of 84,000 (many of whom are not strapped for a bob or two – a Jersey bob, one imagines, since the place has its own currency) offers a captive target-group, isolated from mainland distractions. The advent of the Academy and its ability to involve visiting stars in Jersey’s music education suggest that it is about to raise the game. There are plans, too, to convert the chapel in the Academy grounds into a recording studio – and the basement swimming pool and sauna can only increase the attractiveness of the venue. With SkyBe flights to Jersey beginning at around £25, the flow of musicians to the island might be about to increase. Martin Anderson is the founder and owner of Toccata Classics (www.toccataclassics.com) a record label launched in 2005 with the express purpose of recording undeservedly neglected music. He is also a music critic, writing for a wide range of publications, among them The Independent, Tempo, International Record Review and International Piano in Britain, Fanfare in the USA, Klassiskmusikkmagasin in Norway and Finnish Musical Quarterly.